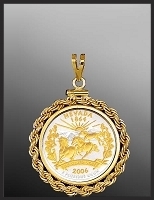 Mounted in a classic style 14K solid gold rope mount, you can commemorate this year's special memories in appropriate lasting elegance with a genuine $10 US gold piece. 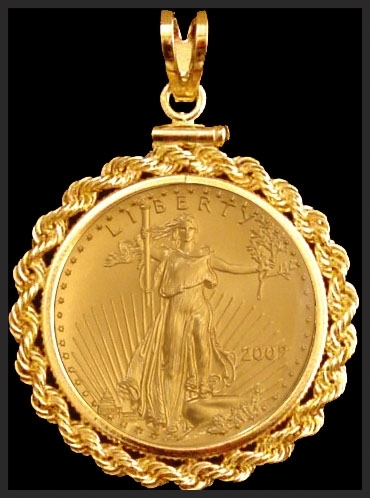 The coin is 22K gold with a precious content of .25 troy ounces. 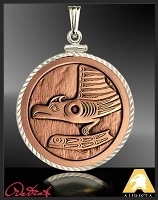 Mounted in a classic style 2.86g 14K solid gold rope mount, you can commemorate this year's special memories in lasting elegance with a genuine $10 US Gold Eagle. 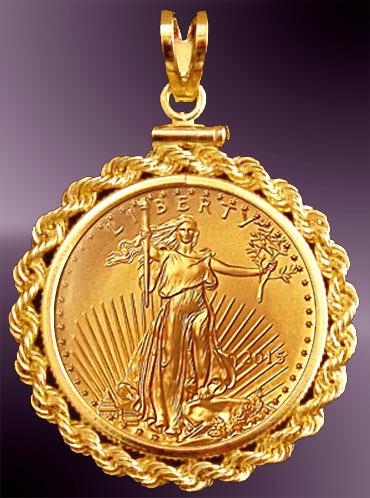 The coin is 22K gold with a precious content of .25 troy ounces. The coin has a diameter of 22mm. 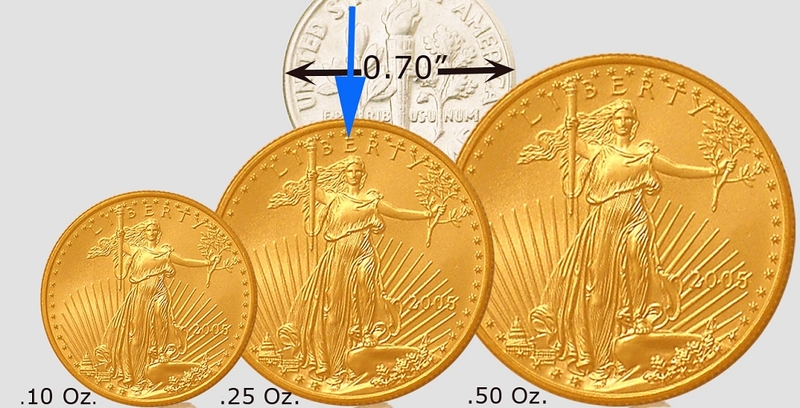 Our exclusive Lenscote protection, included optionally at no extra cost, will provide clear and beautiful protection for the coin for years to come. Certificate of authenticity, uniquely numbered signet and lifetime warranty included. Matching neck chains may be purchased separately.